Don’t say anything to a customer that you wouldn’t say to your grandmother. If we all followed this simple rule, we would always create warm experiences over the telephone. Most of us would never speak to our grandmother in a harsh, rude, apathetic or condescending tone. Further, we’d eagerly go out of our way to find a solution to help grandma out. Naturally, we’d smile when speaking to grandma. 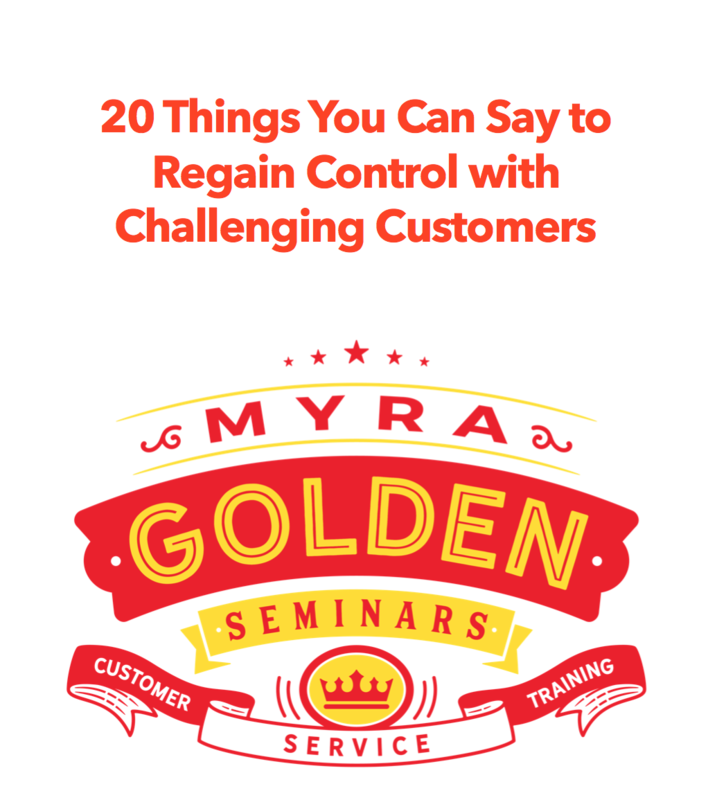 So, tip # 6 is “Don’t say anything to a customer that you wouldn’t say to your grandmother. “ When you master this tip, all of the other tips really become unnecessary. If you liked this tip, you might also like our customer service eLearning. It has a a module on telephone techniques and another on call control. I love reading your article – im looking for the best greeting and holding procedure for call centre . Next Next post: Is it wise to “split the difference” with a customer?